The relocation of Roc-d’Or also marked the development of Malartic. In 1943, houses that were not demolished were moved to vacant lots, which suddenly altered Malartic’s landscape. On March 7, 1946, Mr. Armand Dumas replaced Mr. William Hetherington as Mayor of Malartic. 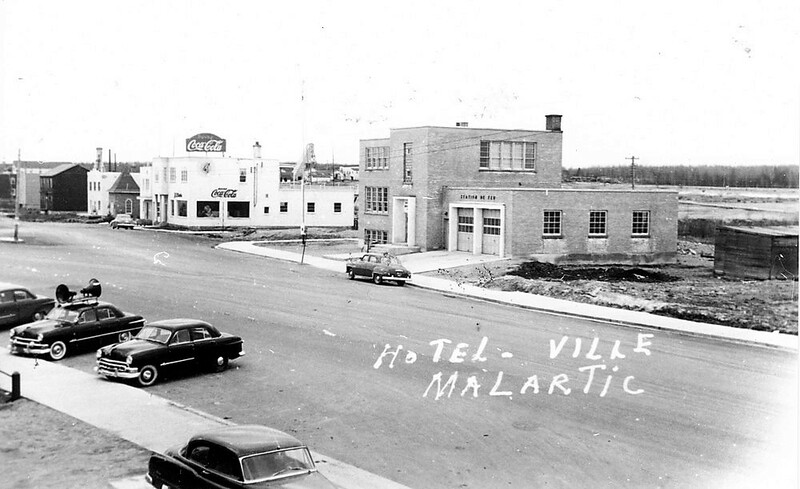 City Hall of Malartic and Coca-Cola bottling plant in 1952. In 1959, the population of Malartic is almost 7000 inhabitants. In the early 1960s, the local weekly newspaper Le Courrier de Malartic wrote about community life. It stopped publishing in 2005. Malartic established a general hospital in 1967, which soon became a regional psychiatric hospital in 1969. A senior care facility, Villa St-Martin, was established in 1968 with a 32 bed capacity. 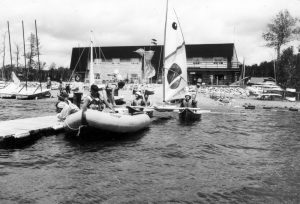 In 1965, the City’s recreational committee created a sub-commitee that supported the initative of citizens to provide the community with a modest library. In the 1970s, the City Council tried to diversify its economy by exploring its potential as a touristic destination. 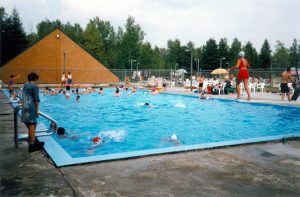 As a result, the Mining Museum, an outdoor facility at Lake Mourier, and a campground, were established. 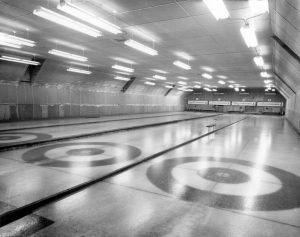 These facilities were in addition to those already in existence at the time, including: a tourism information centre, golf and curling club, and an arena.